Christmas is a great time for movies. It’s the single holiday that gets two days, (Christmas Eve and Christmas Day,) that acts as another birthday for anyone who celebrates it, (presents, all around,) and that has tons of atmosphere surrounding it. Whether it’s the lights and decorations, the music, or the movies and tv episodes, this is the biggest holiday in America, and for good reason. This Christmas I decided to do three nights of movies (leading up to Christmas Eve.) It worked out pretty well, and next year I might just do the same. Different movies, of course. This years plate included A Christmas Story, Love Actually, and Scrooged. 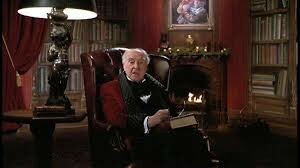 One of those movies, Scrooged, is absolutely my favorite Christmas film. It’s a modern take on A Christmas Carol, the classic Charles Dickens story, and it’s both a funny and scary film. It’s the kind of movie that is so outrageous, (The Scrooge promo that is all about death, the action packed opening scene at the North Pole,) that you can’t help but smile. And Bill Murray carries the entire thing on his shoulders in a way that nobody else could. 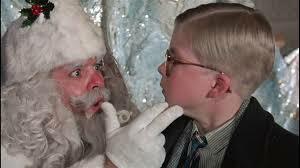 This is also the first year that I really got into A Christmas Story. I’ve seen it before and in fact, I tend to watch the beginning of the movie every year, but then fall asleep somewhere in the second half. This is the first year where I really worked hard to watch the entire thing, and it turns out to be a pretty great film. It’s funny and smart, and very much about being a kid and taking on the adults around Christmas time. Not in any kind of violent way (we’ve got Home Alone for that,) but more of a mental challenge kind of way. It’s about a boy named Ralphie who is trying to outsmart his parents in order to get them to buy him a certain toy for Christmas. And then there’s Love Actually, the classic short story shakeup, filled with interweaving and connections, that all unfold around Christmastime. This is the English movie that is filled with great actors (from Hugh Grant to Alan Rickman to Liam Neeson, to Emma Thompson and Keira Knightley.) There are tons of stories here, and just about all of them are great. My favorite is the story that sort of carries the movie, about an aging pop singer who has hit it big on the charts, once again, and is now finding real love for the very first time. This man, played by Bill Nighy, is so raw and unabashedly funny, that he and his storyline can be thrown in at any moment in the film, and it always gets a laugh. Aside from his story, however, there are tons of great ones, including Colin, the boy who goes to America looking for women who will appreciate him, and two stand-ins on a movie set who are used to having their clothes off around each other. So it was a pretty good lineup this year. Next year I might try to throw in an oldie (It’s A Wonderful Life,) as well as Home Alone, Christmas Vacation, and Mickey’s Christmas Carol. After all, there should be one version or telling of that Dickens story ever year, one way or another.